The Coalition for Roadway Safety has a new four-year plan and a new goal for reducing highway fatalities in the state. Click the link to view the updated Blueprint to Save More Lives (pdf). The Coalition has set two goals in the past and both of those have been reached, most recently seeing the number of traffic fatalities annually in Missouri drop below 850 in 2010, two years earlier than the Coalition’s target. The new mark is to be at 700 or fewer, by 2016. Department of Transportation Highway Safety Director Leanna Depue explains how the Coalition arrived at that figure. The plan includes the “Necessary Nine;” nine steps the Coalition recommends toward meeting that goal. They include increasing use of seatbelts and the passage of a primary seat belt law, which would allow law enforcement to pull over drivers for not wearing a seat belt. Currently, law enforcement can ticket drivers who aren’t wearing seat belts, but can not pull them over for it. The other steps are: expand the installation of rumble strips, increase efforts to reduce the number of substance-impared vehicle drivers and motorcycle operators, improve intersection safety, improve curve safety, improve roadway shoulders, increase enforcement efforts and expand and improve roadway visibility. Fatalities for the year in Missouri are up about 6 percent over last year, 684 by Tuesday compared to 641 by the same date in 2011. Hotz says after being dramatically higher earlier in the year, the increase has leveled off. 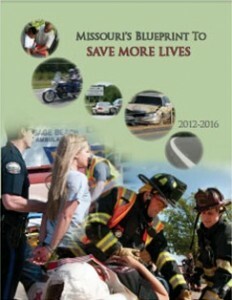 Between January and March, 59 more people died on Missouri highways than during the same period in 2011.